MEDICAL MALPRACTICE - Jerry Martillotti & Associates, P.C. Whether involving a doctor or surgeon, a hospital, nursing home or clinic, the fact is that medical mistakes kill and injure thousands of people each year. Medical malpractice or medical negligence happens when a medical provider, whether an anesthesiologist, doctor, nurse, or other health care professional working in a clinic, hospital or HMO, acts in a manner that falls below the accepted standard of care in the medical community. 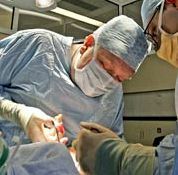 Our firm has handled Medical Malpractice cases for over 17 years and understands the complex legal issues involving medical negligence and medical malpractice, including inadequate care, mistakes and errors in medical treatment, misdiagnosis, failure to diagnose, and other mistakes made by anesthesiologists, doctors, surgeons and nurses in hospitals and clinics. Our mission is to help injured people get fair compensation for their injuries, under circumstances in which medical care provided to them falls below the level of skill and care required. One purpose of medical malpractice lawsuits is to hold medical providers responsible for their mistakes. Another purpose is to put patients in the position that they would be in had no malpractice occurred. Of course, money can never make you whole again, but it can pay the bills you have already incurred and will continue to incur as the result of medical negligence. If you believe that you might have a medical malpractice case, you should seek legal advice immediately. If you think you or a loved one has been the victim of medical malpractice then for a free or consultation, contact us at Jerry Martillotti & Associates and we can help you. The initial consultation is always free and we can come and meet you at your home if you are in need a home visit. We handle cases in Pennsylvania, New York, New Jersey, Maryland and the District of Columbia.